Enniscorthy Enterprise & Technology Centre and ConsultingIreland are holding a FREE business seminar on 15th February. The morning event will be of interest to South-East firms and other organisations (Semi-state, Govt.) who are actively seeking to develop and deliver international services, goods and infrastructure across a range of sectors including: ICT, Agri/Food, Construction, Trade, Energy, Environment, Education, Tourism and Transport. International Financial Institutions (IFIs) such as the World Bank, EC, EBR and The European Investment Bank spend over €1 TRILLION annually on contracts with organisations around the world. These IFI’s constantly seek private and public organisations of all sizes to help complete projects in Europe and in developing nations across a range of sectors. The goal of this event is to educate Irish firms of all sizes of this vast un-tapped opportunity and to help break down the barriers to trading and selling internationally. (d) The seminar will cover a wide range of topics and will draw on years of practical experience related to these markets. Market sentiment seems to be improving but Irish firms must still seek new outlets for products and services and create new opportunities in the global markets. Firms from other EU countries are proportionally winning a larger share of these IFI opportunities. In the last decade, Ireland has fallen significantly behind many of our European Partners particularly in relation to the business we transact with the emerging and growth countries. With the now ever-more-likely BREXIT there are immediate opportunities for Irish firms to ‘replace UK companies’ in projects only open to EU member firms. Already ConsultingIreland has established a number of Irish ’bidding teams’ to target this international work. These teams are formed around industry clusters such as agriculture, energy and finance. The opportunity exists to create such clusters based in Wexford and South East region. “Ireland is capable of enormous expansion in this area. The Danish, who have a similar population and focus on some of the same key sectors currently win contracts 10 times the value than that of Ireland. If we were able to match the success of Denmark, this would translate into thousands of additional jobs and better prospects for future sustainable and diverse business.” says speaker, Seamus McCann of ConsultingIreland. ConsultingIreland (www.consultingireland.org) has already established links to other international partners e.g. in France, Hungary, Italy, Norway and Spain to enable Irish companies find and develop international partnerships. Developing international teams and relationships can be vital to winning projects of this type and scale in international markets. 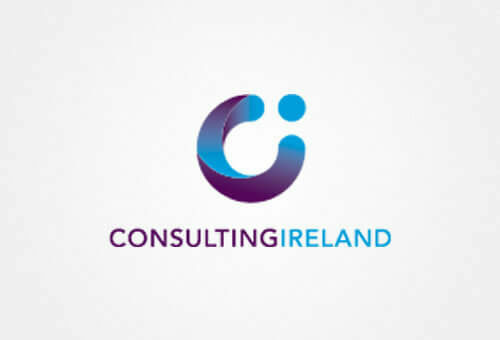 ConsultingIreland are here to assist – in a practical way – all sizes of organisations, from the small business entity to the multinational to gain knowledge on these numerous daily opportunities, to break down the barriers to entry, and where possible to launch valuable networking relationships and tell first-hand of the business opportunities that exist year-in-year out. Location: Enniscorthy Enterprise & Technology Centre, Milehouse Road, Enniscorthy, Co. Wexford.